Encryption is the way to keep the data safe and secure. Our smartphones also support encryption and many actually come encrypted out of the box. If a device supports encryption, it saves encrypted data on the phone. Each time we want to access the data, the device first decrypts the data then we can access. So, it takes more time in access than the time taken in accessing unencrypted data. So, it causes performance issues if the device is not powerful enough. 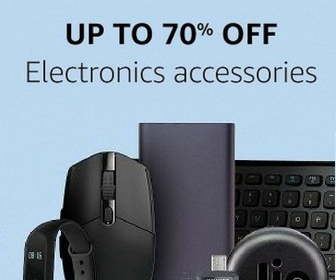 Low-end devices don’t offer hardware support for faster encryption and decryption process. Since data security has become really important, Google has come with a new algorithm to address the encryption issue on budget devices. Google has launched the new encryption algorithm called “Adiantum” that has been built specially for low-end smartphones. This efficient storage encryption protects local data without slowing down even if there is no hardware-accelerated cryptography support available. Currently, Android supports AES-128-CBC-ESSIV for full-disk encryption and AES-256-XTS for file-based encryption. This is already mandatory for device manufacturers to include AES encryption on Android devices shipped with Android 6.0 or later. The newly launched Adiantum also allows devices to use the ChaCha stream cipher in a length-preserving mode. 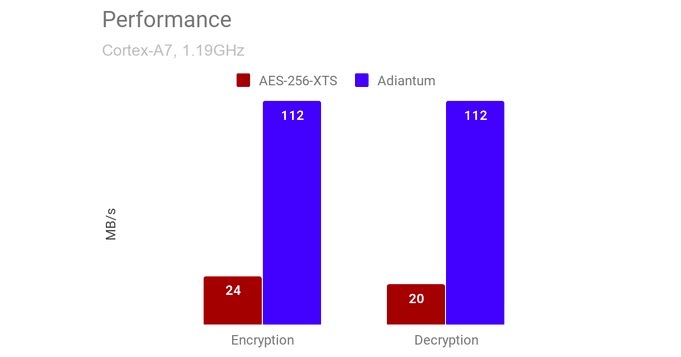 On ARM Cortex-A7, the Adiantum encryption and decryption is about 5x faster than AES-256-XTS. Google says that Adiantum has primarily been designed to be widely accepted encryption to offer maximum security along with sufficient performance on low-end ARM processors. Device manufactures can enable the Adiantum on their budget devices launching with Android Pie. It will become the part of Android Part starting Android Q.